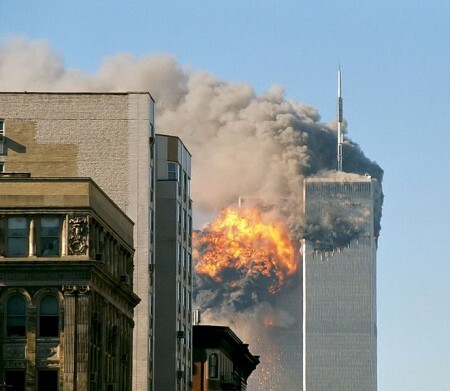 Are You Absolutely Certain That You Know The Truth About What Happened On 9/11? 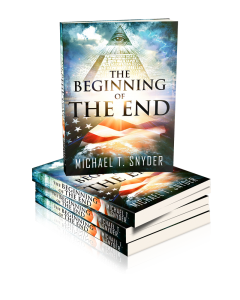 Do you believe that you know precisely what happened on 9/11/2001? Are you absolutely certain that you know the truth? If so, what you are about to see might shake you up quite a bit. The events that happened 12 years ago on this day shocked the world and will certainly never be forgotten. Thousands of innocent people died needlessly, and that day fundamentally changed the course of history. But what if it could be proven that the “official story” that the government has been telling us about 9/11 is a lie? Are you willing to use logic and reason to evaluate new evidence that has emerged, or do you have such an emotional attachment to your current beliefs that you are going to blindly believe whatever the government tells you to believe? In this day and age, it is absolutely imperative that we all learn to think for ourselves. For the next few minutes, please be very skeptical as you read the rest of this article. Be skeptical of what I am claiming, be skeptical of what the experts are claiming and be skeptical of what the government is claiming. Evaluate the evidence for yourself and come to your own conclusions. More than 2,000 architects and engineers are supporting a massive worldwide advertising campaign entitled ReThink911. You can find the official website right here. According to these architects and engineers, the government’s version of what happened on 9/11/2001 is absolutely impossible. By a margin of nearly two to one, 41% support a new investigation of Building 7â€²s collapse, compared to 21% who oppose it. Even though Americans have been hearing about 9/11 endlessly for the past 12 years, nearly half of them still don’t know that a third building fell on that day. A 47-story building named “Building 7″ collapsed perfectly into its own footprint at freefall speed, but no plane ever hit it. And of course the collapse of the other two World Trade Center towers would have been impossible as well without the help of controlled demolition. But for many Americans, the implications of accepting that reality would just be too painful to accept. It would mean that someone wired those buildings for controlled demolition ahead of time, and for many very patriotic Americans such a notion is absolutely unthinkable. However, we owe it to future generations of Americans to put our emotions aside and to search out the truth. Whoever was responsible for the events of 9/11 needs to be brought to justice, no matter who they might be. For too long, government officials have been able to successfully leverage the emotional components of the tragedy to deflect questions they painted as either disrespectful to the victims and their families or crackpot conspiracies. But with over 2,000 architects and engineers having signed the 9/11 truth petition, most of whom have offered credible and detailed reasons why their expertise has left them at odds with root elements of the official version of events, there remain too many unanswered questions for us to continue to ignore those raising them. Perhaps the most noted event of that day, in terms of skepticism, is the implausible “collapse” of building seven, the third tower to fall, which reached free-fall speeds and fell in its own footprint in the way that a controlled demolition does — despite the fact that it was not hit by a plane. Building seven’s improbable collapse was not explained by the 9/11 Commission and has been routinely described by demolition experts as something which could have only occurred through a well-planned, coordinated demolition, aided by pre-placed explosives. The two main towers also fell at near free-fall speeds, with concrete floors being pulverized to dust almost immediately (before the required force would be present) while the necessary deceleration that would be needed to generate the force to continuously penetrate each floor below was obviously absent. Quite simply, a building of that size and structural integrity would not seem capable of falling at such speed, while simultaneously expelling such tremendous energy in obliterating each floor — which was nearly 4-ft. thick and topped with 4 inches of poured concrete above and lined with interlocking steel trusses beneath. The documented phenomenon of extreme-high temperatures at the twin tower sites, which inexplicably reached levels capable of melting iron and structural steel when a normal open air fire is not capable of reaching such ranges, also warrants a closer look, as does eyewitness accounts of “molten metal.” Iron-laden spheres in residual dust at the site that suggest temperatures had to reach more than 2,700 degrees fahrenheit (the melting point of iron and structural steel) is also suspect. The use of thermite would be one possible explanation, though the pyrotechnic compound was not tested for at the site, a standard protocol when investigating such an explosion. Why are so many Americans still so resistant to asking such hard questions? Shouldn’t we allow the evidence to lead us to the truth instead of allowing the government to define what the truth is for us? Why aren’t there more reporters out there like Ben Swann? Today, we live in a society where certain kinds of questions are considered to be “off limits”. But that should not be the case. As Americans, we should all be “truth seekers”. After all, the truth will set us free, right? Can you explain that very blatant CGI glitch? Perhaps there is a rational explanation. If so, I would love to hear it. But wait a minute, wasn’t al-Qaeda supposed to be behind 9/11? Wasn’t that the reason why we have been chasing them around the Middle East for over a decade? Well, these days the U.S. government is actually allied with al-Qaeda. The Obama administration has been supplying Syrian rebel groups that are openly affiliated with al-Qaeda with weapons and supplies even though they are slaughtering Christians, using chemical weapons and dismembering little girls. The BPC report also warns that chemical weapons falling into the hands of jihadists in Syria could subsequently be used against the west. “Potential jihadi access to the vast stockpile of chemical weapons assembled by the Assad regime and scattered across Syria is a potential game-changer though–not only because they could be used there, but because they could be smuggled out of the country as well,” states the report. Does that video make you angry? 12 years after 9/11, the U.S. government is allied with the very forces that supposedly conducted the terror attacks in the first place.